Kia embraces the trend toward big SUVs with the all-new 2020 Telluride. 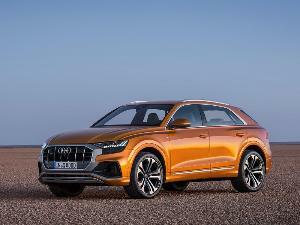 This is the brand’s largest SUV ever, with seating for up to eight passengers, a powerful engine, and the features families crave. 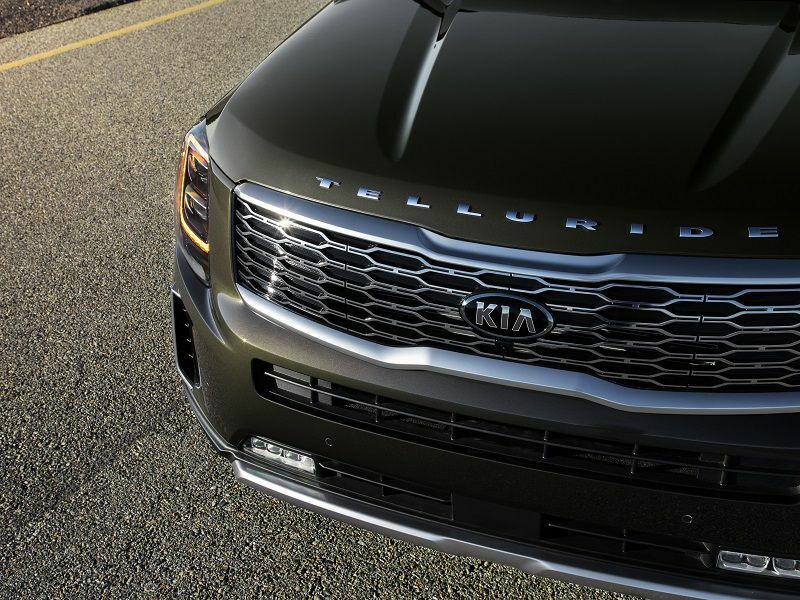 Although Kia is known as a more affordable brand, the Telluride is anything but an economy car. Bold styling and quality materials throughout make this a more upscale choice, despite its manageable price. Available in a range of four trims, the Telluride is a good option for large families that want a capable and spacious SUV. 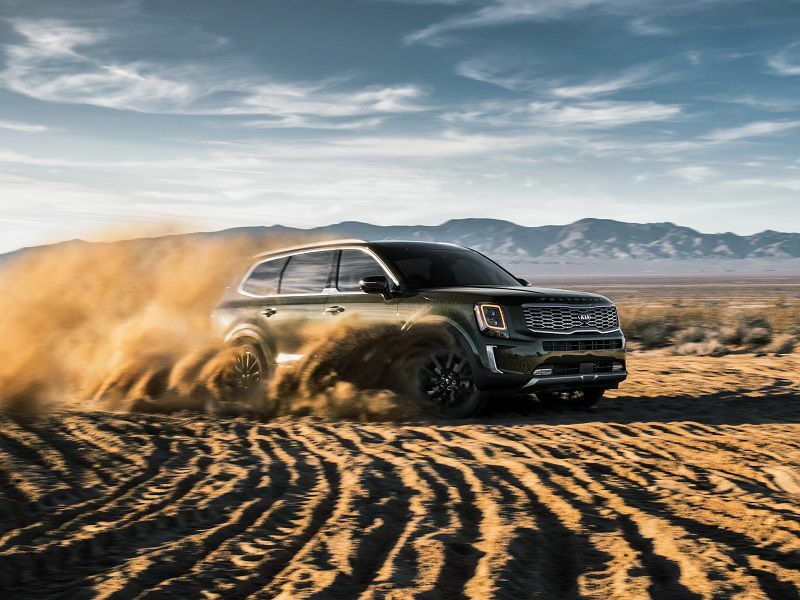 Let’s take a closer look at the 2020 Kia Telluride and see if it’s the right SUV for your family. It's a big SUV without high pricing. The all-new Telluride is a mid-size SUV with room for eight passengers, which generally means you’re looking at a higher sticker price. It can be challenging to find a vehicle this size that doesn’t break the family budget. But this is a Kia, and the brand has a reputation for building cars that people can afford — and the Telluride is no exception. The range of four trims is priced from $31,690 to $41,490 with front-wheel drive. Add all-wheel drive to any trim for an additional $2,000. 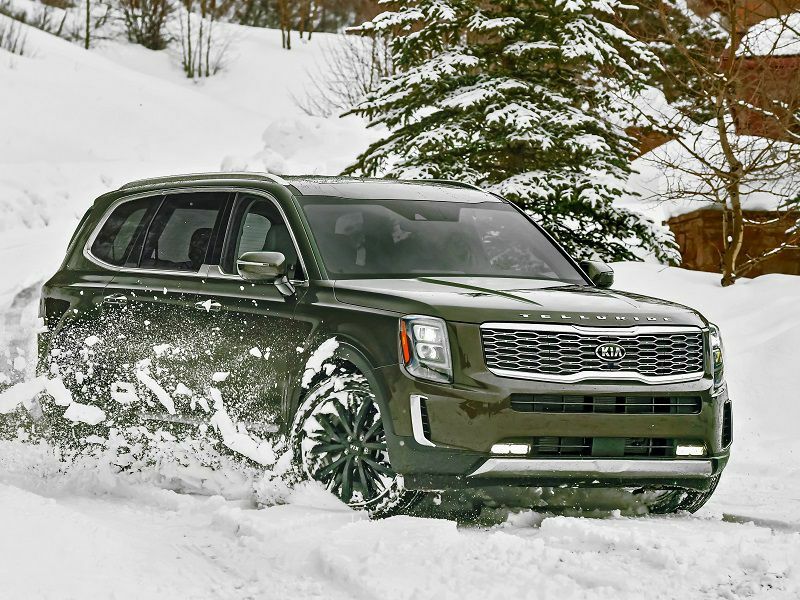 That makes the top Kia Telluride SX with all-wheel drive a well-equipped SUV with a price of $43,490. Take a look at many of the Telluride’s competitors, and you’ll find their mid-range trims sitting at the same price. The Telluride aims squarely for the family who needs a roomy SUV but doesn’t want to go over budget to park one in the driveway. Advanced safety features are standard. 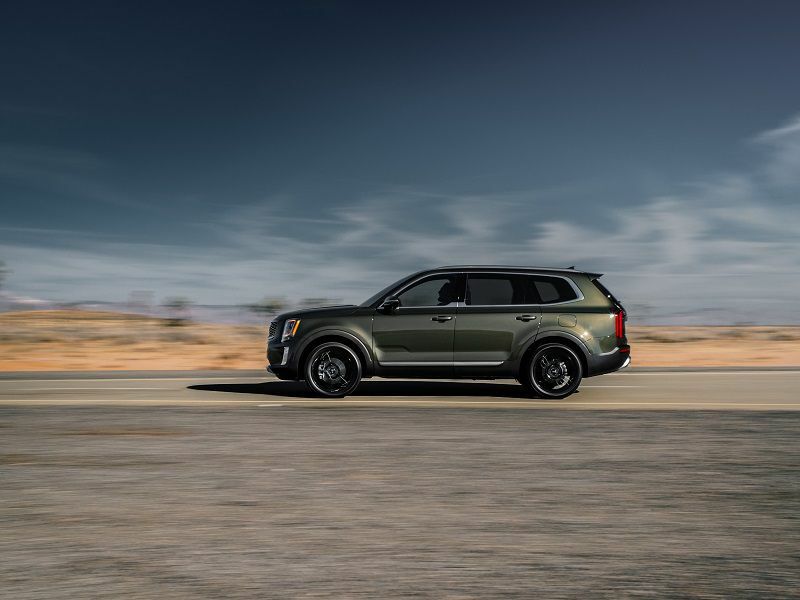 Although not yet crash-tested by the Insurance Institute for Highway Safety or National Highway Traffic Safety Administration, the 2020 Kia Telluride comes with a wide range of standard and available safety features. Kia Drive Wise is a suite of advanced safety features that is standard on every Telluride. It includes blind-spot collision-avoidance assist, a driver attention warning, forward collision warning and avoidance with pedestrian detection, a lane-departure warning, lane-following assist, lane-keeping assist, reverse park distance assist, and rear cross-traffic avoidance assist. While this is the standard offering, the top SX gets additional features including a blind-spot-view monitor, high beam assist, highway driving assist, a forward park distance warning, and a surround-view monitor with the option for a head-up display. The Telluride has an expansive suite of standard safety, so you don’t have to stretch the budget to add key features. Fuel economy is easy on the budget. Gas prices are still low, but you never know when they’ll take a jump. This makes fuel economy important especially when you’re talking about a family car. You might not be piling on the miles as a part of your daily commute, but hauling the kids around town to a multitude of playdates and practices adds up quickly. Poor fuel economy can also make the annual family road trip a much more expensive proposition that means cutting it short or reducing planned activities to stay within your budget. 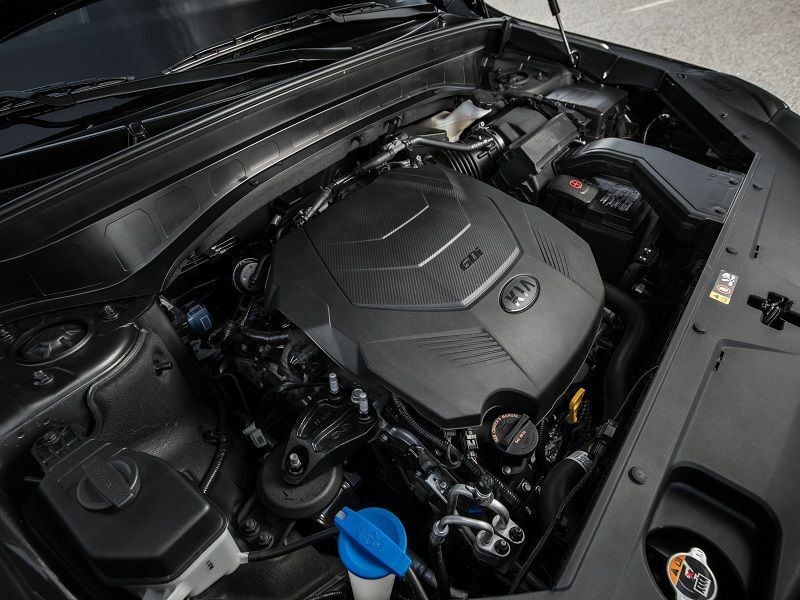 The 2020 Kia Telluride gets an EPA-estimated 20 mpg in city, 26 mpg on the highway, and 23 mpg combined. The numbers drop to 19 mpg in the city, 24 mpg on the highway, and 21 mpg combined if you equip your Telluride with all-wheel drive. That’s not what you’ll find in smaller vehicles, but it’s quite competitive in the segment. A responsive powertrain makes driving effortless. The Telluride is powered by a 3.8-liter V6 engine with 291 horsepower and 262 lb-ft of torque paired to an eight-speed automatic transmission. That’s a healthy amount of power for a vehicle this size, and it easily gets the Telluride moving. It’s quick to get up to speed and easily merges with highway traffic. If you need extra power for highway passing — something that can sometimes be a challenge in larger vehicles — the Telluride won’t disappoint. It doesn’t require mashing the gas pedal, either. This is a big SUV with a considerable amount of bulk, yet it doesn’t feel that way from the driver’s seat. 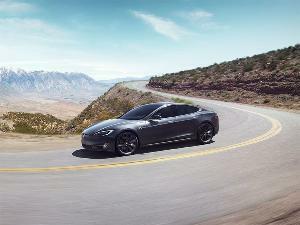 It’s responsive at all speeds, especially on the highway, which is when you need it most. This isn’t a sporty vehicle, but it has all the power you need and then some. There's ample room for cargo, plus towing capacity for larger loads. 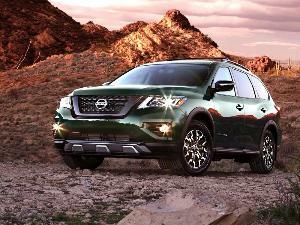 large suvs do double-duty carrying people, cargo, or some combination of the two. The Telluride has plenty of room for cargo even with a full load of passengers. There’s 21 cubic feet behind the third row, 46 cubic feet behind the second row, and 87 cubic feet behind the first row. That gives ample flexibility to manage a variety of seating and cargo configurations, especially with the 60/40 split-folding second and third rows. 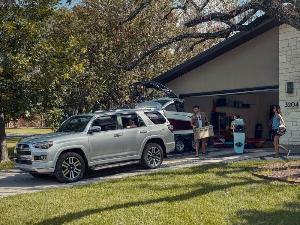 Those with larger items that won’t fit inside the Telluride can take advantage of its maximum tow rating of 5,000 pounds. This rating is the same across the lineup and applies to both front-wheel drive and all-wheel drive models, so you don’t have to switch trims simply to take advantage of a better tow rating. The comfortable and spacious interior keeps the whole family happy. The Telluride has room for up to eight passengers in a spacious and attractive interior. Available second-row captain’s chairs take seating down to seven, but that availability is limited. They’re an option on the S trim, which sits one step above the base model, and standard on the top SX where they’re your only choice. It’s comfortable no matter where you sit, though the third row is typically tight and best reserved for the kids. Both the second and third rows recline, making the Telluride great for relaxing on longer road trips. Standard features include a one-touch slide-and-fold second row and rear climate controls. There are available leather seats, dual-zone automatic climate control, power driver and front passenger seats with available heat and ventilation, and even heat and ventilation for the second row. The Telluride has features to keep the whole family comfortable, no matter where they sit. The smooth ride and confident handling make the Telluride a relaxing drive. Passenger comfort is only partly about having a comfortable interior. There’s also the vehicle’s ride. The Telluride is big, but it maintains a smooth, composed ride even over rough roads. Adding to the experience is a quiet interior. There’s some road and wind noise, but nothing that will interfere with passenger comfort. It’s easy to carry on a conversation among all three rows without having to raise your voice for those in back. Handling also adds to the experience. The Telluride stays composed even when the road is rough, so no one is jostled around. 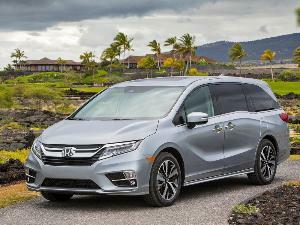 As the driver, you’ll find it less tiring over longer trips, with tight, responsive steering that makes it easy to forget this is a mid-size SUV. Optional all-wheel drive manages rough road conditions with ease, and the drive mode selector helps maintain optimum control even on dirt, mud, and snow. The infotainment system keeps you connected and safe. The Telluride features a standard 8-inch infotainment screen with Apple CarPlay, Android Auto, and SiriusXM, along with a six-speaker audio system and five USB charging ports on base trims. The top two trims get an upgraded system with a 10.25-inch touchscreen, navigation, wireless charging, and an extra USB charging port. The SX alone gets a premium Harman Kardon 10-speaker audio system as a standard feature. The Telluride also features UVO telematics, a system that lets you control select features from your smartphone. This includes remote start and door lock, preconditioning the cabin temperature on select models, and sending points of interest and waypoints to vehicles with navigation systems. There’s also a rear occupant alert, which uses sensors to detect a rear passenger, sounds the vehicle’s alarm as a warning, and can even notify your smartphone to remind you that someone is still in the vehicle. The Telluride enters the market at a time when the public is clamoring for more SUV choices, especially options with room for eight passengers. The Telluride delivers exactly that in a range of four well-equipped trims with a roomy, upscale interior and ample room for cargo. It also keeps pricing down, which is important for families on a limited budget. Although the Telluride is affordably priced, it doesn’t look or feel like an economy car. It has bold, modern styling outside and an attractive interior. Quality trims that look and feel good lend the Telluride a welcoming and upscale appeal. 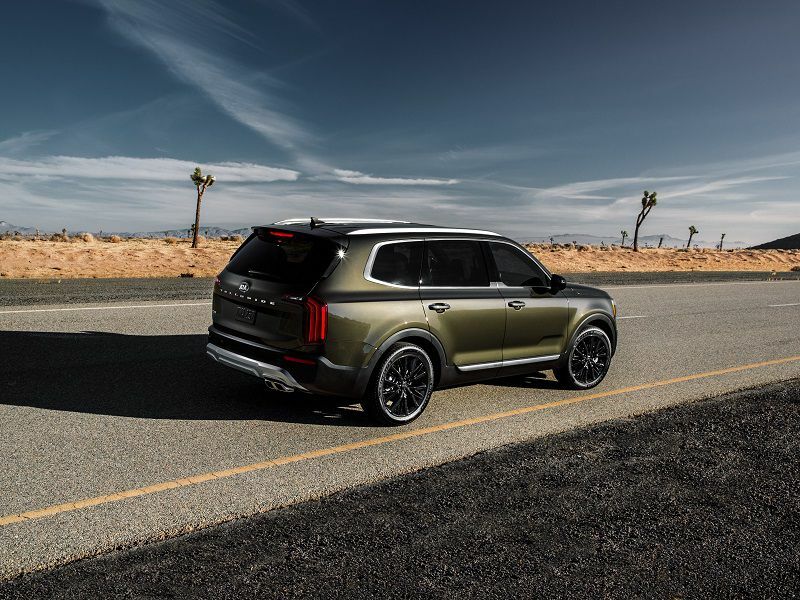 The all-new 2020 Kia Telluride is a worthy entry in the mid-size SUV marketplace that’s sure to attract the attention of today’s busy families.